Paleo Recipes for Rapid Weight Loss does exactly what it says on the tin! We all know that eating paleo not only helps keep you uber-healthy, but it’s also an awesome way to drop those extra stubborn pounds. Jam packed with 50 great, quick to prepare, and delicious recipes that you can easily incorporate into your lifestyle, the book will not only become your ‘go-to’ bible, but it’s so well organized that you’ll wonder how you ever got by without it in the past! Creator of the blog, Rubies and Radishes, Arsy Vartanian has published what many consider to be the most comprehensive Paleo cookbook in existence. The Ultimate Paleo Cookbook crams over 900 super-tasty recipes within its pages. From the simple and quick to prepare, right through to those that need a little more time to create (for those special occasions, Vartanian has partnered with some of the greatest names in paleo cooking to come up with this masterpiece. If you want a book that’ll prove to you how easy it is to maintain a true healthy, paleo diet, then this should definitely be included on your kitchen bookshelf. We all know how convenient a slow cooker is in our hectic lives. So if you want to combine the healthiness of a paleo diet with the delights of coming home to a delicious smelling meal that’s been slowly simmering all day, then get your hands on a copy of The Paleo Slow Cooker Cookbook. Forget the time spent slaving away in the kitchen and get ready for a slow cooker revolution. After all, who couldn’t be tempted by recipes such as Jamaican Jerk Chicken Wings or Sweet Potato Shepherd’s Pie? Voigt’s Super Paleo Snacks is the perfect cookbook for making yummy snacks that’ll see you storming through the day – and not breaking your paleo diet. You’ll find more than 100 recipes for the most delicious snacks, using super-paleo foods such as sweet potatoes, coconut, avocado, and almonds, with most taking less than 15 minutes to prepare. 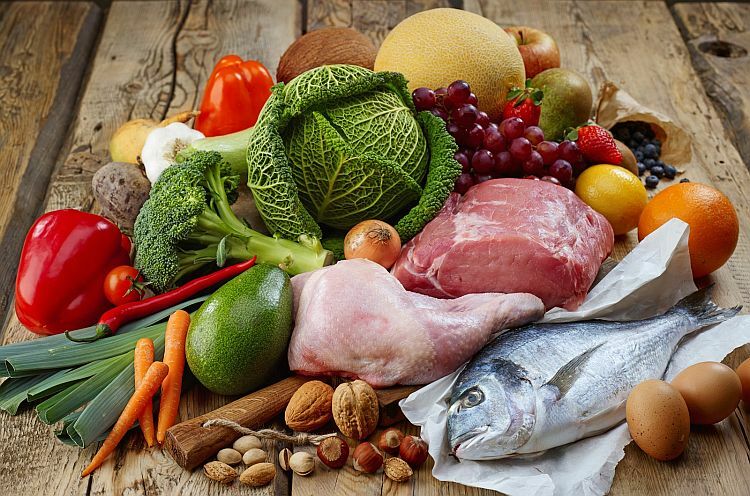 Take advantage of all the health benefits that a paleo diet brings, but in addition, learn the easy way that you don’t need to give up on flavor or variety to eat in such a way. Against All Grain by self-trained chef, Danielle Walker, is the culmination of the ladies battle against an auto-immune disease, and her enforced education into how she needed to eat smart to combat the illness. Easy to follow recipes, mouthwatering photos, plus a great kid-friendly section that’ll see the children also eating healthily (and happily), we challenge you not to be delighted with the recipes contained within the pages. Scrumptious food can also be healthy food – this book certainly is tantamount to that. Over 100 recipes are contained within Nom Nom Paleo, each accompanied by superb photographs and entertaining cartoons. Not for Tang and Wong is the boredom of eating the same foods over and over again. Monotony while following a paleo diet is certainly a thing of the past. Combining Asian influence and California inspiration, this is just the cookbook that’ll get you desperate to hit the kitchen to make these delicious recipes a reality. Let’s face it, sometimes sticking to a paleo diet can be somewhat tough on your pocket. If you want to discover how to make delicious meals that not only ensure you stick to your diet, but don’t make your bank account wince when you hand over your credit card, then you need The Frugal Paleo Cookbook. Packed with great tips (as well as the recipes) about how to make eating paleo more affordable, then this is the book for you. With more than 100 recipes crammed inside, there’s no danger of ever running out of ideas with this book by your side.